As one of the world’s hub regions for the technology industry, the Bay Area attracts numerous tech-focused San Francisco trade show exhibits. If you’re involved in the technology industry, exhibiting at one of the Bay Area’s top events can be a great way to earn attention, generate leads and make sales. 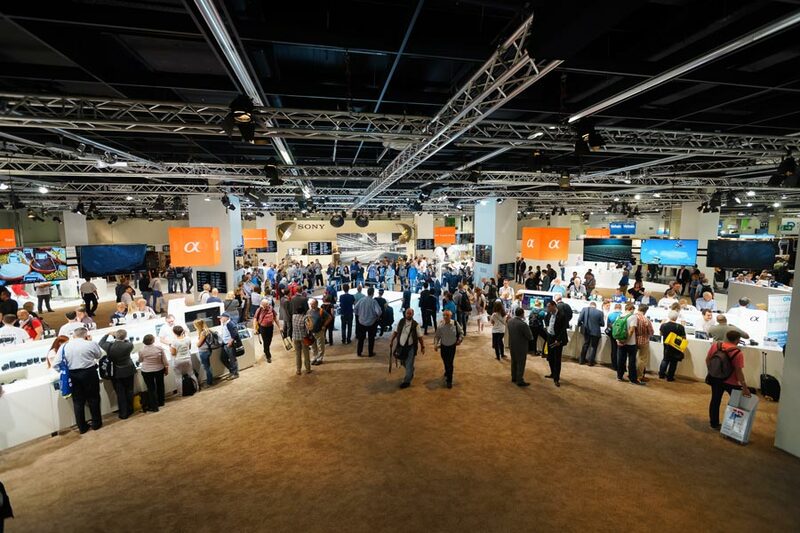 Below, we’ve listed four of the most popular tech trade shows in the Bay Area, ranging from platform-specific conferences to large-scale tech conventions aimed at both a business and consumer audience. Is your business involved in hardware? SEMICON West is a major technology trade show for hardware manufacturers and businesses involved in the tech hardware industry, with well over 25,000 attendees and upwards of 650 exhibitors. SEMICON West is co-located with the Intersolar North America solar energy convention in the Moscone Center, making it a great choice for businesses that are involved in both technology and renewable energy. Is SEMICON an essential event if you’re involved in software? No, but if you’re connected in any way to the world of hardware, it’s definitely worth considering as an exhibitor. Although it’s technically not a trade show, the Worldwide Developers Conference (WWDC) is a must-attend event for any software business that developers for Apple devices, from Mac OS X to iOS hardware. The WWDC is Apple’s annual opportunity to showcase its latest upgrades, releases and new developments. If you’re involved in app development, it’s also an opportunity to see what you may have to work within the future as a developer or content publisher. Key features of the conference include get-togethers with other developers and experts, guest speakers, and consultations with Apple experts for one-on-one advice and assistance. Another developer-focused expo, DeveloperWeek is the largest professional developer trade show in North America. The expo attracts more than 8,000 participants, with 10 conferences and close to 100 exhibitors showcasing their latest products, services, and solutions. Aimed squarely at web and app developers, DeveloperWeek is worth attending if you’re in any way involved in the software industry. From learning about new technologies to generating new leads and finding potential hires, the event is a great source of opportunities. While it’s not a big-ticket B2B event like many others, DeveloperWeek’s mostly value comes in the form of new networking and partnership opportunities it can up to software businesses. Have you involved in PC, mobile or console gaming? The Game Developers Conference (GDC) is the biggest event of the year for game developers and publishers — a huge convention for game developers and video game industry professionals that attracts global attention. The GDC is made up of several different events — a large trade show and expo, a large variety of networking events, several conferences and presentations from the world’s top video game developers. Over the years, the GDC has expanded its scope, growing from an event for PC and console game developers and publishers into a larger, more inclusive event aimed at markets such as mobile game, browser-based gaming and more.